Home / HTC Desire628 D628h Frp Lock Remove & Bypass. / videos / HTC Desire628 D628h Frp Lock Remove & Bypass. 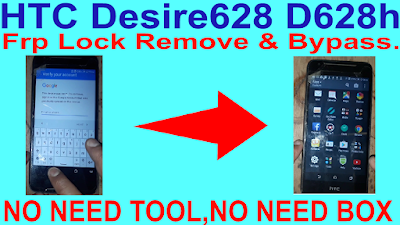 HTC Desire628 D628h Frp Lock Remove & Bypass. HTC Desire628 D628h Frp Lock Remove Method. 2# Click two finger like video. 3# Now enable talkback method. 6# Disable talkback click volume up & volume down same time. 8# Download Google account manager apk. 12# Open Quickshortcutmaker go to google account manager. 15# Open your phone on normal mode. 16# Go to setting and remove logine gmail. 17# Now your phone frp lock remove done.